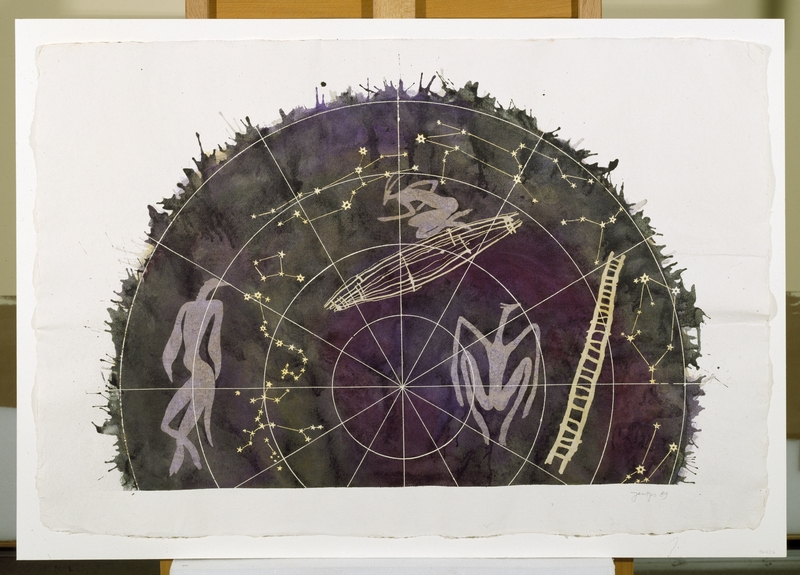 This work, part of Jantjes’ Zulu series, draw from his sketchbook notes on astronomy, Khoi San rock art painting and collections of primary words he noted when researching his idea for the drawings. This drawing is concerned with concepts of the mind and the constellation Hydra, the snake. In some African cultures, the snake symbolizes the speed of thought or lightning. Adebisi Fabunmi (also known as FAB) was born in Takoradi, Ghana, in 1945. In 1964 he participated in a workshop organized by Georgina Beier and thus began his career as an artist. 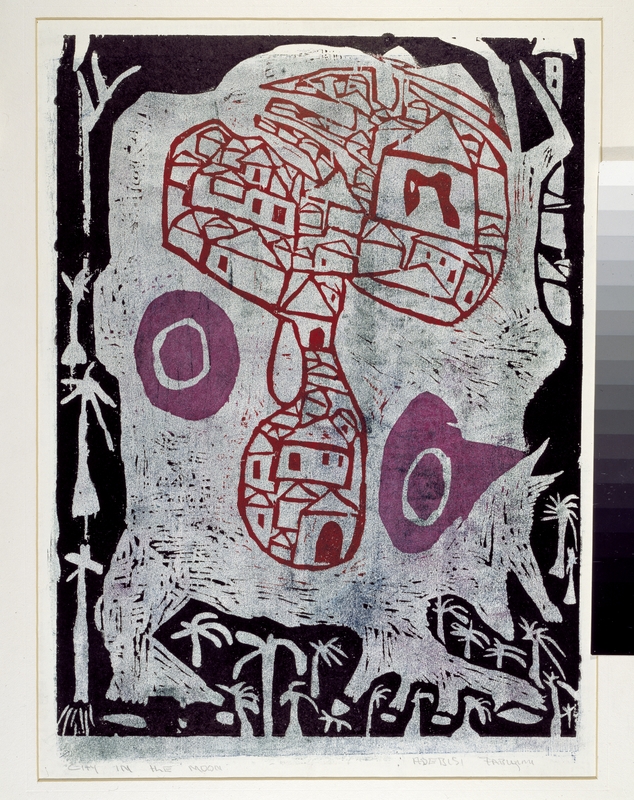 Since then Fabunmi has exhibited widely and become known for his linocut prints and wool paintings. Inspired by the work of the Huichol Indians of Mexico, Fabunmi experimented with yarn, developing his own technique of adhering the yarn to a backing of heavy muslin or plywood. His subject matter often includes themes related to traditional Yoruba life. Famous for his city prints, he divides and subdivides his compositions filling every inch of space with patterns. This entry was posted in Cosmic Connections and tagged Ghana, Hydra, Khoi San, moon, Nigeria, South Africa, Yoruba by africancosmosdiary. Bookmark the permalink. Cenię walory informacji, które zamieszczasz na blogu. natomiast artykuły są w zasadzie doborowe:D Dobra robota:) Pozdrawiam.